If you want to save money on school, where you attend college really matters. Columbia students face steep living costs once they move off campus; the average rent in Manhattan is around $5000! You’ve likely heard the realtor’s celebrated phrase “location, location, location.” As it turns out, the same principle can be applied to your college search. Location should definitely weigh into your decision about where to get your degree, and not just because it will determine what the weather will be like or what you’ll do on the weekends. Location has a very real affect on the cost of attending college, so you’ll want to weigh all of the following factors when finding your college match. At public colleges and universities, the largest difference in tuition costs is usually determined by whether you want to attend a school in your home state or in another state. What are you willing to pay in tuition? At public colleges and universities, the largest difference in tuition costs is usually determined by whether you want to attend a school in your home state or in another state. In-state tuition is often much cheaper than out-of-state tuition. However, the actual difference in costs can vary dramatically from one school to the next. Meanwhile, private colleges and universities typically charge the same tuition rates for all students regardless of which state they come from. However, it’s important to keep in mind that these schools often have higher-than-average tuition costs overall, so it may be cheaper to attend a public school out-of-state instead of a private university close to home. The cost of living can vary greatly. If you’ve always dreamed of attending college in a big city, you’ll have to factor higher costs of living into your financial plans. Going to a college in Manhattan like Columbia University or New York University, for example, means accepting the costs of living in the most expensive city in the U.S. While you may live in a dorm for your freshman year, apartments in this NYC borough are notoriously pricey at about 5 times the national average. In addition to real estate, costs for food and entertainment are generally higher in Manhattan and other expensive cities like Los Angeles, San Francisco, Boston and Washington, D.C.
It’s not just big cities that are expensive, however. Some college towns also have a higher cost of living. Forbes reports that Palo Alto, California, home to Stanford University, has real estate costs that rival big cities like Boston. These higher real estate prices are reflected in higher rent and more expensive amenities in the area surrounding your campus. Make sure to factor in these expenses when looking for a college match. On the other hand, you can look for less expensive college locations. For example, the University of Akron in Ohio is surrounded by rock-bottom real estate prices. 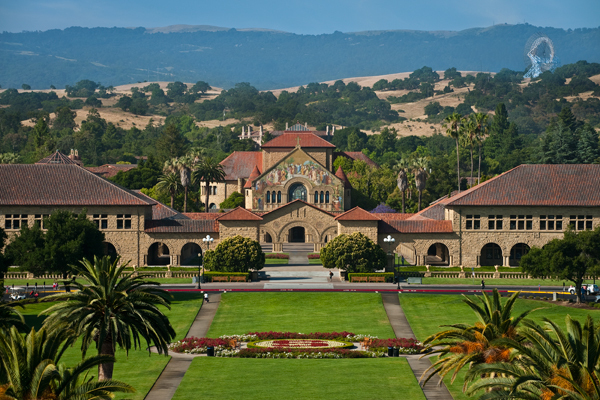 Given Stanford's proximity to Silicon Valley, it's no wonder the real estate is so expensive. Your travel costs for college can vary depending on where you decide to attend school. Let’s say that you decide to get a degree at a university located just 30 miles from your house so that you can be a commuter student. While you’ll save money on housing expenses, you’ll also need to factor in the cost of gas and wear on your car every day. If you’re really looking to save, you'd need to schedule your classes in a way that minimizes the number of trips to campus you’ll need to make each week. Similar costs can add up at schools farther from home. If you attend school out of state, you may need to think about the costs of coming home for the occasional visit or for holiday breaks. Will you drive, fly or take a train? If you need to have a car on campus to go home on weekends or to get to work, do you have to pay any extra fees for a parking space? If public transportation is available, how much does a weekly or monthly pass cost? These are the questions you’ll need to consider when factoring in the costs of travel and transportation at college. While these expenses might seem a bit overwhelming, it’s something that every college student deals with every day. Taking these financial indicators into account will help you find a great college match while also preparing you to deal with real-world expenses.